"The most noble pleasure is the joy of understanding." Written more than 500 years ago in the private journal of Leonardo da Vinci, these words still felt timely and relevant to the 120 guests assembled on 15 April to celebrate Italian Research Day. Part cultural experience, part celebration of scientific investigation and industrial innovation—the event traced patterns of learning and innovation from the individual genius of Leonardo da Vinci to the collaborative inspiration of the ITER Project. 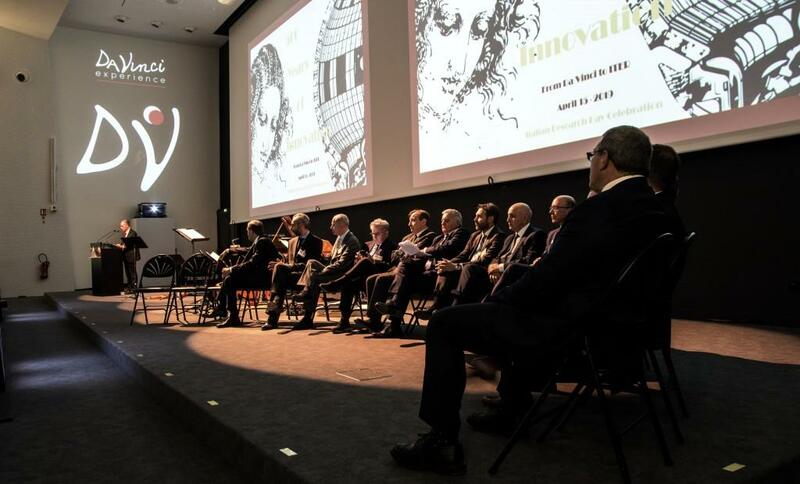 From Leonardo da Vinci—who dared to undertake what many considered impossible, too risky or too large—to ITER: the stage was set for a day-long celebration of innovation. Established in 2018 by the Italian Ministry of Ministry of Education, University and Research, Italian Research Day coincides with the birthday of Renaissance artist, inventor, and polymath Leonardo da Vinci. This year is particularly special, because it marks 500 years since da Vinci's death in Amboise, France, where he spent his final years. Celebrating Italian Research Day at ITER this year was a "logical choice," according to co-host Alessandro Giovine, the Consul General of Italy in Marseille, given ITER's status as a unique example of modern human innovation and the prominent role that Italian research institutions and companies are playing in the realization of the ITER machine. Giovine treated the guests to a letter from Sergio Mattarella, the President of Italy. "From the pressurized modules of the International Space Station to explorations in the seas and underground laboratories, from the commitment to the International Thermonuclear Experimental Reactor to research, hospitalization and healthcare institutions, Italian innovators of our time contribute with passion, tenacity and a spirit of responsibility to the welfare of the country and its competitiveness," the president wrote. Attendees to the full-day event—ranging from local mayors to the leaders of an extensive range of Italian research institutions and industrial companies—were treated to a worksite tour led by ITER Director-General Bernard Bigot, followed by an afternoon program of Renaissance music, technology presentations, and a multimedia show, "The Da Vinci Experience," by the Milan-based production company, Cross Media. 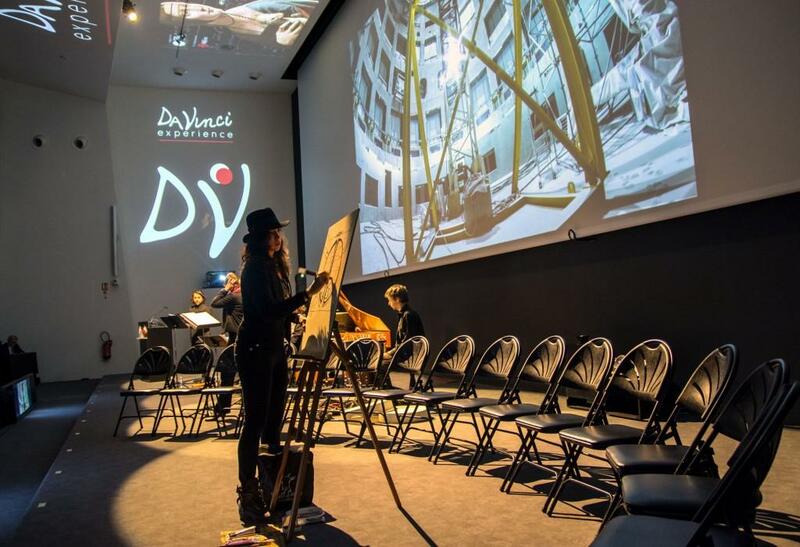 The program closed with "Da Vinci Imagines ITER," an onstage tableau featuring artist Michela Meneguzzi of Verona, accompanied by the baroque ensemble, Concerto Soave. 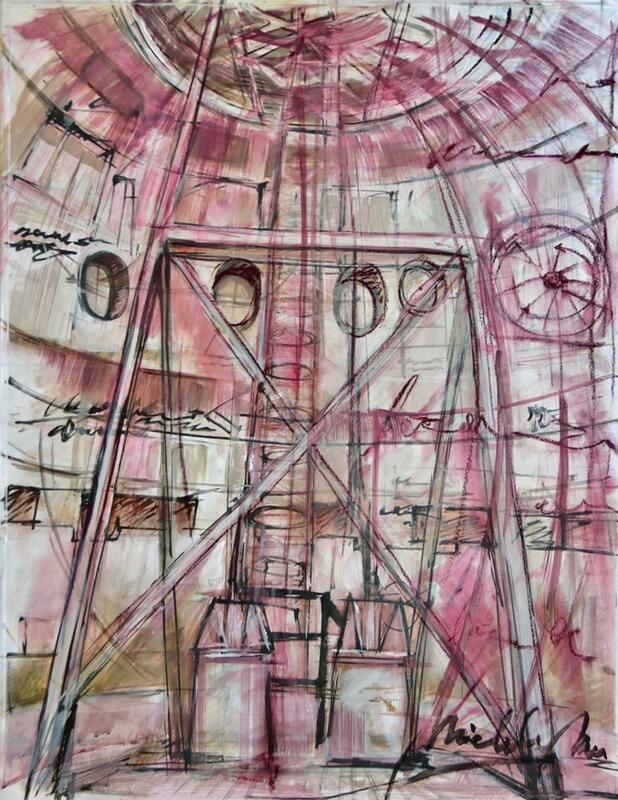 Having spent much of Sunday on the ITER worksite, Meneguzzi was able to capture and render the perspective and the colosseum-like ambiance of the Tokamak Pit in the style of Leonardo da Vinci. 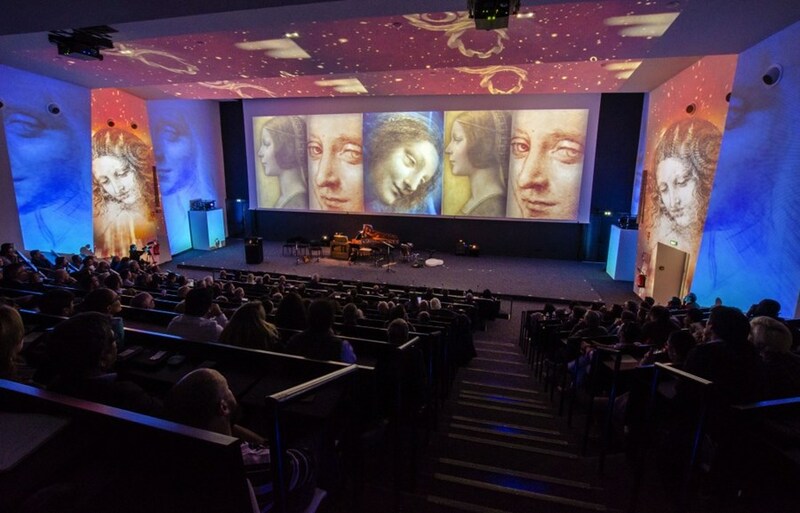 As with Leonardo's life, the program at ITER blended art and science. In his keynote address Marco Ricotti, professor at the Politecnico di Milano, noted that da Vinci's approach to "naturalism" was rooted in three elements: direct sensory observation, the mathematical and geometric proportions of natural phenomena, and the correlation between scientific knowledge of nature and the associated technological practice. "Each science must have its own 'beneficial consequence.' Leonardo does not mean to know only, but also to build." To illustrate the Renaissance inventor's far-reaching influence, Ricotti offered da Vinci's conception of a machine that could harness the energy of rising hot air—a concept that has been adapted in the passive safety systems of the latest nuclear reactor designs. As Director-General Bigot summarized, "Leonardo's contributions to art, science, and technology are fundamentally unique—a legacy like no other." See the gallery below for more pictures of the day. 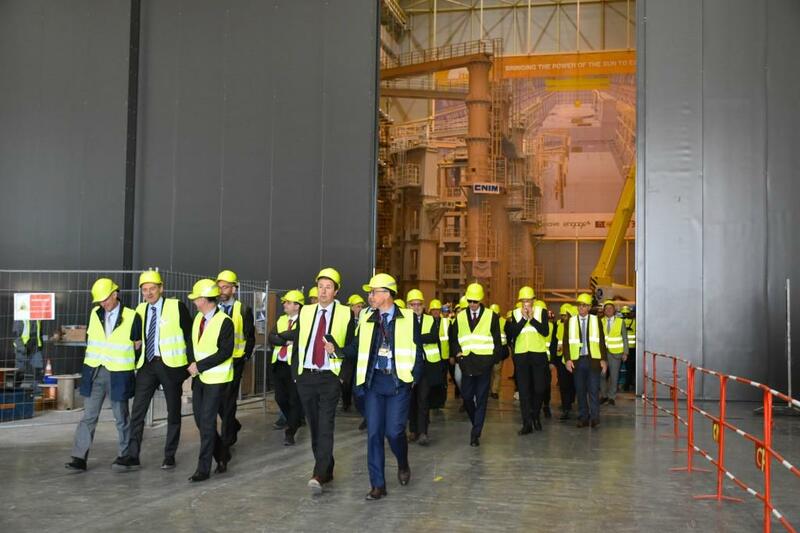 In the morning, guests toured the ITER site by bus with stops at the cryoplant, the Assembly Hall (pictured), and the European winding facility for poloidal field magnets. 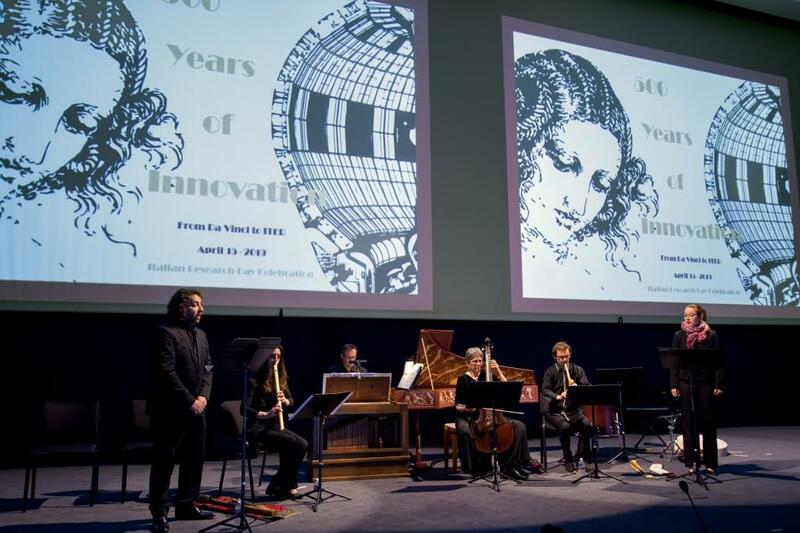 "Had Leonardo been with us this morning," said the ITER Director-General Bernard Bigot, "I believe that we would still be on the worksite, because he would still be asking questions and imagining how to be more efficient ..."
The afternoon program in the ITER amphitheatre was punctuated by Italian and French music from the late Renaissance period performed by Concerto Soave. Over 100 invited guests and 300 staff members attended the festivities. 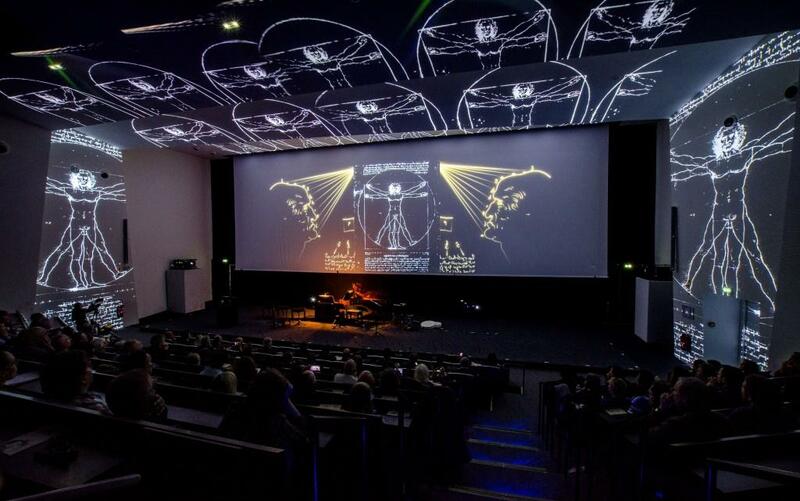 Guests were also treated to an immersive sound and light show called The Da Vinci Experience, offered by the Italian government and created by the Milanese firm Cross Media. A panel of prominent Italian innovators—leaders of an extensive range of Italian research institutions and industrial companies—spoke in the afternoon. The ITER Tokamak Pit, by Michela Meneguzzi.